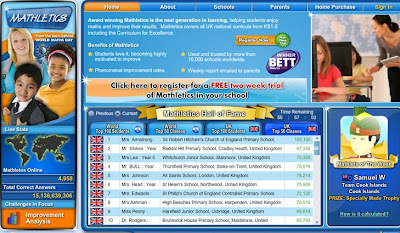 Children from year 6 at SRH have been enjoying improving their maths skills on the Mathletics website. Children score points for completing various tasks. 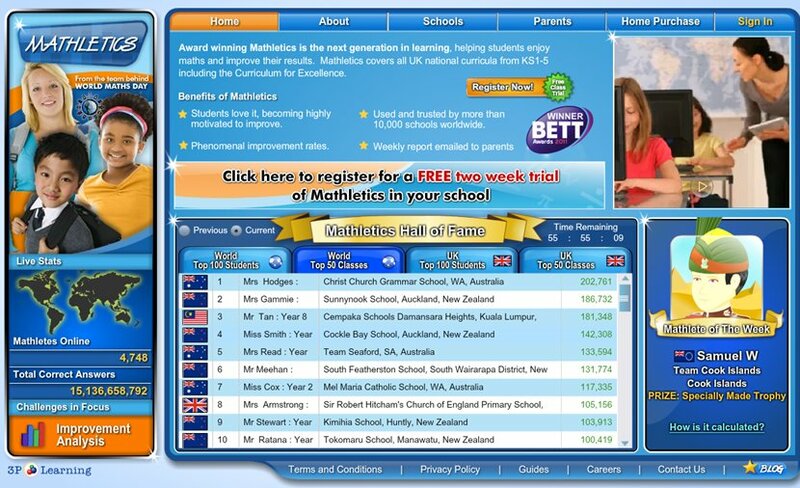 They can also play 'Live Mathletics' - competing directly against other users around the world. 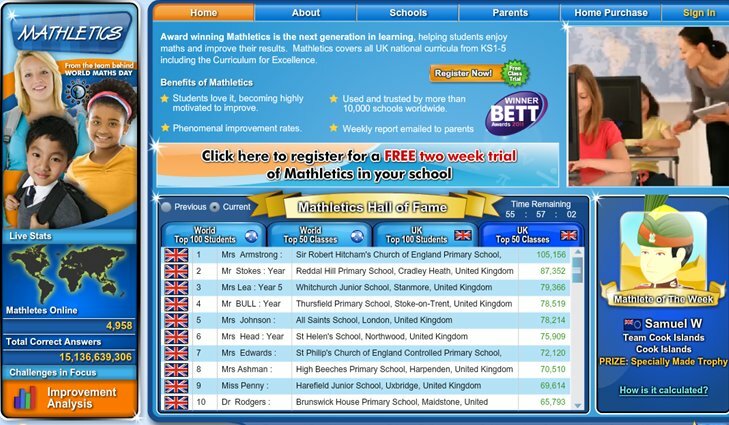 As of this morning SRH is the top scoring school in the UK and in 8th place in the World. In order to stay near the top we need to keep playing & earning points. Just a reminder that the charity bag collection is THIS Wednesday. Bags should be left in the pavilion on the front playground please before 9am. 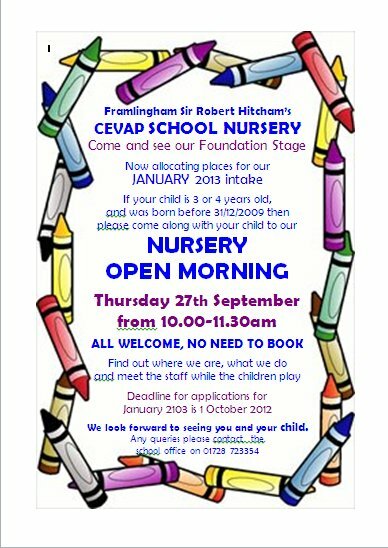 NURSERY OPEN MORNING on Thursday 27 September from 10.00 – 11.30am. Parents are welcome to pop in on this date to look around (with or without children). Please can we ask that ALL clothes, shoes, bags, lunchboxes and any other property has your child’s NAME on it please. If we find unnamed property we have no way of getting it back to the right pupil which means parents end up having to buy replacements. HHH (Wednesday) - this will be held in the hall from now on. CHOIR (Wednesday) – this will be held in the upstairs Music Room/Computer suite. YEAR 4 LUNCHTIME FOOTBALL - This has now moved to Wednesday lunchtime instead of Thursday. Pupils will need PE Kit plus football socks, shin pads, either football boots or trainers. As the weather gets colder we recommend tracksuit bottoms / joggers and sweat top. Class LC on a Monday or Wednesday morning; Class CH on a Wednesday or Friday morning. Please can we remind parents that any changes to who your child is going home with should be given to the teacher in writing on that day; only in emergencies (ie delays in collecting) should parents call the office who can pass a verbal message to the teacher. Thank you. In school, teachers have again been reminding children about the importance of regular hand washing, especially after using the toilet. Please can we ask that parents help to reinforce this message. If anyone is interested in a cleaning role at the school please contact our contract cleaning company EFMS – Trish Riches on 07515 192 252. They are looking to recruit additional members to their cleaning team. Please find with this letter a ‘Waiting for Christmas’ permission form. This form MUST be returned to us by Friday 28 September – children will not be able to attend the recording day or performance unless we have this permission slip. After school tennis club is run by Anthony from Framlingham Tennis club on Tuesdays after school. It is open to boys and girls from key stage 2. Mrs Akerman runs an after school reading club on Tuesdays. Here are the members meeting for the first time with some of their favourite books. In glorious Autumn weather an inter house football tournament was held after school on Friday. Our house flags (made for Olympic Sports Day) were being waved. This meant that Mills finished 1st with Hitcham 2nd. Due to insufficient ticket applications for the Bingo & Beetle Drive this event will not be able to run this Friday. In addition, the AGM cannot go ahead due to a requirement of a minimum of 30 adults needing . Both events will be postponed in the hope of an increase in families wanting to come along. Remember, the Friends are raising funds which benefit all the children at school. A letter from the Friends will follow. Please find with this letter the Scholastic leaflets, please complete and return to the office with payment by Friday 21 September. PLEASE NOTE PAYMENT MUST BE EITHER BY CHEQUE PAYABLE TO SCHOLASTIC LIMITED OR BY CREDIT CARD. Our services will take place on Thursday 4 October in St Michael’s church for Foundation and on Friday 5 October at 9.30am for Key Stage 1 at 9:30am and Key Stage 2 at 10:30am. The services will include our usual harvest singing and prayers. These are Thanksgiving services in which classes have chosen items such as poems or songs to be presented by some of the children. All parents are welcome to attend either service. 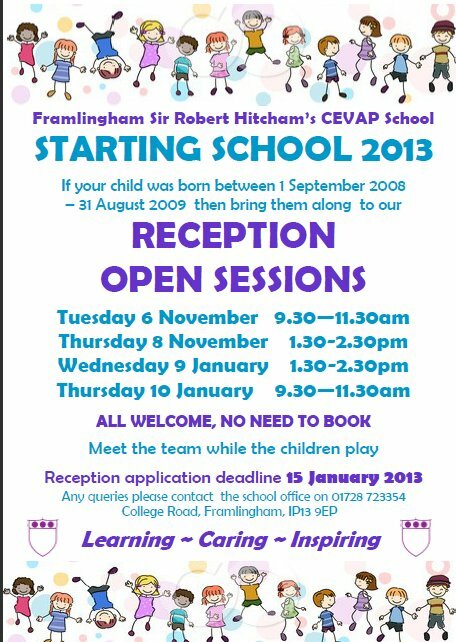 We will be allocating Nursery places for January 2013 intake in October. If you have a child born BEFORE 31 December 2009, you will need to submit an application form to the school office if you wish your child to be considered in this round of allocations, forms must be returned by 1 October at the latest. Please ask at the school office for a Nursery brochure & application form. Thursday 27 September from 10.00 – 11.30am. 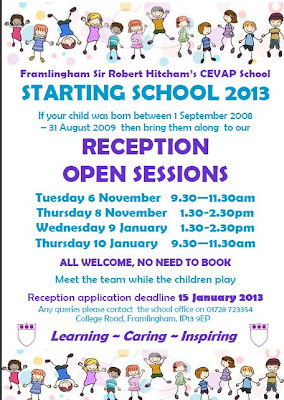 Please note they MUST be returned to the Admissions Team at Ipswich by 15 January 2013.
between 8 – 9am. PLEASE DO NOT BRING THEM IN BEFORE THIS AS WE DO NOT HAVE SPACE TO STORE THEM. Thank you. We would like to remind parents to provide their child with a filled water bottle for school; ideally with a ‘sports cap’ that will not leak in book bags. We have installed water fountains in 3 activity areas and on both playgrounds so that children may re-fill their bottle if they need to – PLEASE note the indoor water fountains cannot be drunk from directly which is why a water bottle is necessary. These courses are run in Woodbridge Library and they give parents the opportunity to make positive differences, improve communication and relationships, understand behavior and help with managing difficult situations. They also run skills for Well-being. For information please see the Parent Noticeboard in the Reception area by the office or look at www.skills-for-parents.co.uk Courses start in October and cosdt £85 for 8 x 2 hour sessions. After school all class teachers bring their classes onto the playground to meet their families. Any children not collected will then return to their class teacher who will take them to the office. Mr Cork from the Framlingham Rotary Club came into our Friday assembly to hand out superb illustrated dictionaries to every child in year 6. The school gardening club have made a display of produce picked this week. Our after school Christian club restarted this week with a record number of members. There were 40 children with 6 adults. They all had some fruit, a drink and took part in some craft and singing activities. The Friends AGM is on 21 September, and they are looking to recruit a new Chairperson. If you would be interested in joining the committee in this role, they would be very pleased to hear from you. It is a very rewarding post, working with a great group of parents who help to raise funds that are used for the benefit of all children in the school. They are a friendly team, with a number of new members starting this year. You do not need any specific skills, just the ability to work well as part of a team and to be enthusiastic about the role. For more information please contact the current chair Marie-Therese on mtwalker666@hotmail.com or pass your information to the school office. This initiative invites you to attend a presentation by your class and key stage teachers to understand a little more about what your child/ren will be experiencing this year in their new class. The meeting will be no more than 20 minutes, and is not an opportunity for individual chats with your teacher, but will give an overview of your child/rens areas of learning including suggestions for helping at home. You may bring your children to sit quietly with you if you wish. 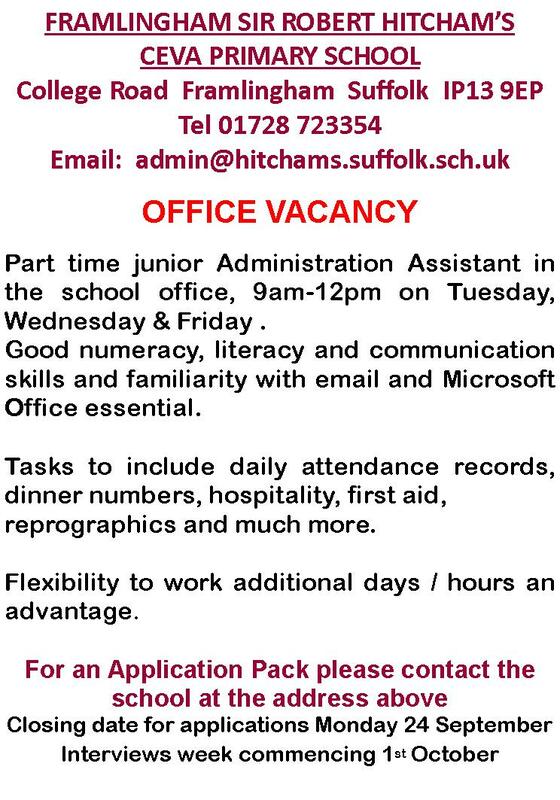 We have a vacancy for a part time junior Administration Assistant in the school office on a Tuesday, Wednesday and Friday from 9am-12pm. Applicants must have good numeracy, literacy and communication skills and be comfortable with email and Microsoft Office. Tasks will include daily attendance records, dinner numbers, hospitality, first aid, reprographics and much more. Candidates must be able to respond to a variety of tasks and situations and to liaise with parents, pupils and staff. Flexibility to work additional days / hours is an advantage. Application forms are available from the school office. Closing date for applications Monday 24 September, interviews week commencing 1 October. Thank you to all the volunteer helpers who have already registered with us this year. Some classes have had no parent volunteers yet, so we have a number of sessions where help is required. Below are the days/times where your help would be appreciated. Volunteer help is a very important part of school life and if you feel able to help at any time, not just with any of the sessions below, we would be very pleased to hear from you. To help in school you do need to complete a Volunteer Declaration form and CRB form so we can run the relevant checks. If you have not previously completed one, or wish to check if your name is already on the list, please contact the office. If you are able to help at a session below please speak to the class teacher. BAGS2SCHOOL – incorrect collection date printed on bags! NOT Tuesday 25 as is incorrectly printed on the bag. Please place bags in shelter on front playground between 8.00- 9.00am on Wednesday 26 September ONLY. Weekly payers must pay on a Monday or bring packed lunches. In order to maximise the learning time for the children and to try to minimise the disruption to the learning through the movement around school, the staff have decided this year to continue with setting for Maths but not English. English will be taught in class groups and with the support of Learning Mentors to meet the needs of all children. In this way opportunities for English will be increased as there will be a more flexible use of the timetable. Unfortunately, Mr Brook is not in school on Wednesdays this year, so is unable to run Computer Club for Year 4. Apologies for having to cancel this club completely. Choir will be held on a Wednesday after school now, not a Thursday. The first session will be on Wednesday 26 September – details will follow on a letter next week. As part of the SCC ‘Wider Opportunities’ scheme we are receiving a delivery of brass instruments (Cornets, Tenor Horns & Baritone Horns) for class PLDD. Over this year the children will receive whole class music lessons on a Wednesday with a teacher from the County Music Service. After a few weeks the children will be able to take the instruments home on loan to practice. Parents will be required to complete a loan agreement form and return it to the office before your child takes the instrument. These forms will be sent out on Wednesday. We are aware that some children are crossing College Road ALONE before 8.25am. The Crossing Patrol is ONLY on duty from 8.25am, please can we encourage parents to ensure their children do not get to the crossing point before that as there will be no one to help them cross safely. Thank you. Please make sure your child’s teacher knows of any changes to going home arrangements. We need to keep spare underwear for ‘accidents’ with our younger children, we are short of pairs of girls knickers so if you have some that are in good condition but unwanted, then please you pop them into the office. Thank you. We are now collecting these vouchers; please pop in box by the office until 28 October. The Family Bingo & Beetle Drive has been a great success in the past, a fun night out for all ages. There is a licensed bar, tuck shop & soft drinks. Tickets are £2.50 per player. 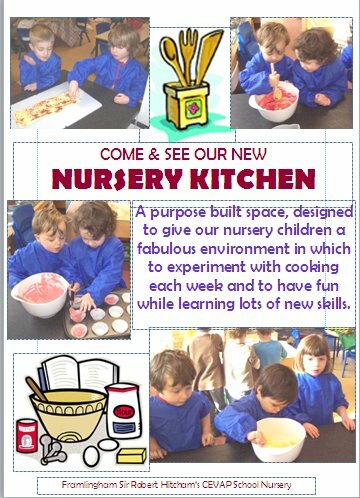 We would encourage all new parents to school to come along.